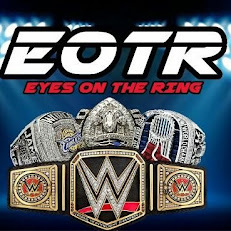 Welcome to the first edition of "All Eyes On", the new segment here on Eyes On The Ring where we showcase the best indie talent out there. What better way to start than to talk about the man that I feel is the best performer on the indie circuit today, "Kick To Kill" Cedric Alexander. He's worked his way through the Mid-Atlantic and Southern territories/promotions and is one of the biggest draws in his home state of North Carolina. What sticks out the most about Cedric is his ability to construct a fresh match every time he goes out there. His willingness to put his body on the line every weekend, and steal the show is what drives him. I've had to pleasure of seeing Cedric live in person and knowing the man, and seeing the way he works up close was an experience. From his debut in Ring of Honor back in 2011(2010 if you count dark matches), he's turned heads with his fast paced style, innovative offense, and abilities. Starting out in a tag team with Caprice Coleman, the C & C Wrestling Factory quickly made a name for themselves within ROH. Caprice and Cedric would go on a great run for the next few years that saw them take on just about every tag team in the company, until they finally decided to officially split up. The split proved to be beneficial for Cedric as he's done great in singles competition in ROH, BUT for those familiar with him, he's been a superstar by himself for a while now in other promotions. I remember getting the notification from PWX Management that Chris Hero was coming in for the weekend. I was excited. Chris Hero is a huge name, great draw, and all around great guy. When I found out he'd be facing Cedric in the Dream Match series, I was instantly intrigued. The match itself was pretty damn good, and it almost seemed like a WWE-Style match, which would seem out of Cedric's element, right? Wrong. Cedric's ability to adapt to that style was purely impressive. After a great victory and match against Chris Hero, what would be next for Cedric? The biggest weekend in his career. January 2014. Cedric would team up with Caleb Konley(former tag team partner) to take on Country Jacked(Adam Page and Corey Hollis, both tremendous talents as well). That was the first night. The next night? He put on a classic match with none other than the current ROH Champion Michael Elgin.... and guess who came out victorious? Kick To Kill. The Elgin vs Cedric match is one of my favorites of the year, and really was a reminder that Cedric is ready for the big time. So two huge matches in one weekend for Cedric, it can't get any better than that right? The last night of the weekend, January 19th, 2014, was the moment that will stand in time as the true turning point for Cedric. PWX hosted their first event in a new building out in Winston Salem. Cedric was in the main event. A top draw. Against who? AJ Styles. That's right, a legend in this business, TNA World Champion, ROH legend, former #1 in the PWI 500, etc, etc...... who was making his PWX debut. The match packed the new building with nearly 1,000 fans, which was PWX's biggest crowd thus far I believe. That alone cemented Cedric, but what furthered it EVEN more? The match itself. After this match, Cedric's name started to grow even more. He's made appearances in PWG, Wrestleforce(he's the champ as of this writing), and countless other promotions. His star has risen in ROH due to a feud with The Decade stable(specifically Roderick Strong), which led to him getting big victories two PPVs in a row(the ROH/NJPW one and Best In The World, which was broadcast on PPV). Cedric also is currently the PWX Champion, and he's put on some amazing matches with Caleb Konley(epic series), Lance Lude, Jake Manning, and Shane Strickland(another one of my favorite matches this year) since the AJ Styles bout. The sky is the limit for Cedric, and I suspect that within a year or two years, we'll see his face on NXT and more likely on WWE programming. He's destined to be a legend in this business. Time will reveal. Stay tuned for our next "All Eyes On", as we take a look at another ROH shining star, ACH.